Today’s animation is a shark vertebra recovered archaeologically by Jamestown Rediscovery. 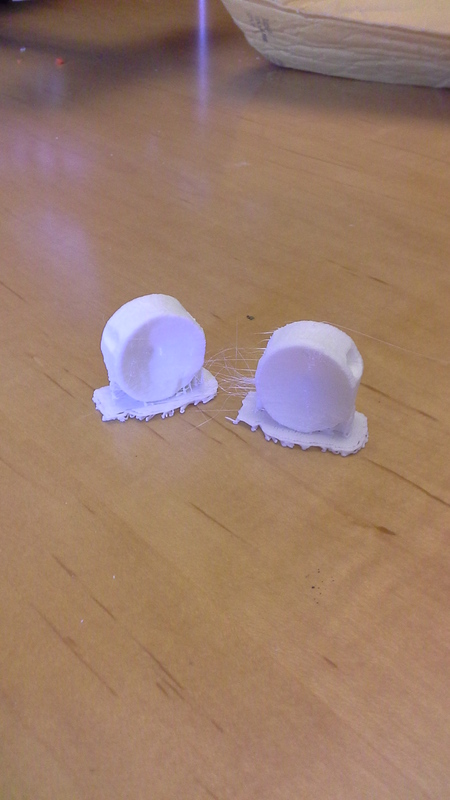 It was scanned on September 9, 2015 at the Jamestown Rediscovery laboratory. It was scanned and later printed within two weeks of its discovery. Today’s animation is a Jack of Plates plate recovered archaeologically by Jamestown Rediscovery. Numerous of these plates would have been sewn to a cloth or leather garment to create armor. Today’s animation is a 17th century oyster shell recovered archaeologically by Jamestown Rediscovery. Oysters were substantially larger prior to historic over exploitation. Today’s animation is a goat horn recovered archaeologically by Jamestown Rediscovery. According to Merry Outlaw, Curator of Archaeology for Jamestown Rediscovery, the butchered horn is from the post structure in the palisade extension to the original James Fort. It came from a large cellar (possible well) and dates prior to 1624. More information on the excavation of this feature can be found here. Note: The director was occupied with a gas leak in his home this past week, which is why this is a tad delayed. Today’s animation is a butchered dog humerus recovered archaeologically by Jamestown Rediscovery. Cut marks on the dog humerus indicate an attempt to remove flesh for consumption. The butchered mandible dates to the “starving time” dated to the winter of 1609-1610. A spectacular forensic archaeological discovery announced early last year by Jamestown Rediscovery confirmed historic documents that indicate the residents of James Fort also turned toward cannibalism. For more on the individual identified as “Jane” whose body exhibits evidence of cannibalism, you can read Jane’s Story here. 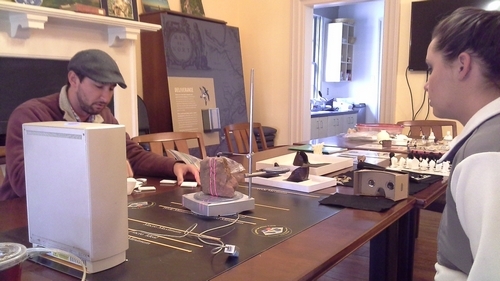 Today’s animation is a rowel recovered archaeologically by Jamestown Rediscovery. This rowel is part of a spur and details on the changes of English spurs over time can be found in this web page by Sara Rivers Cofield. 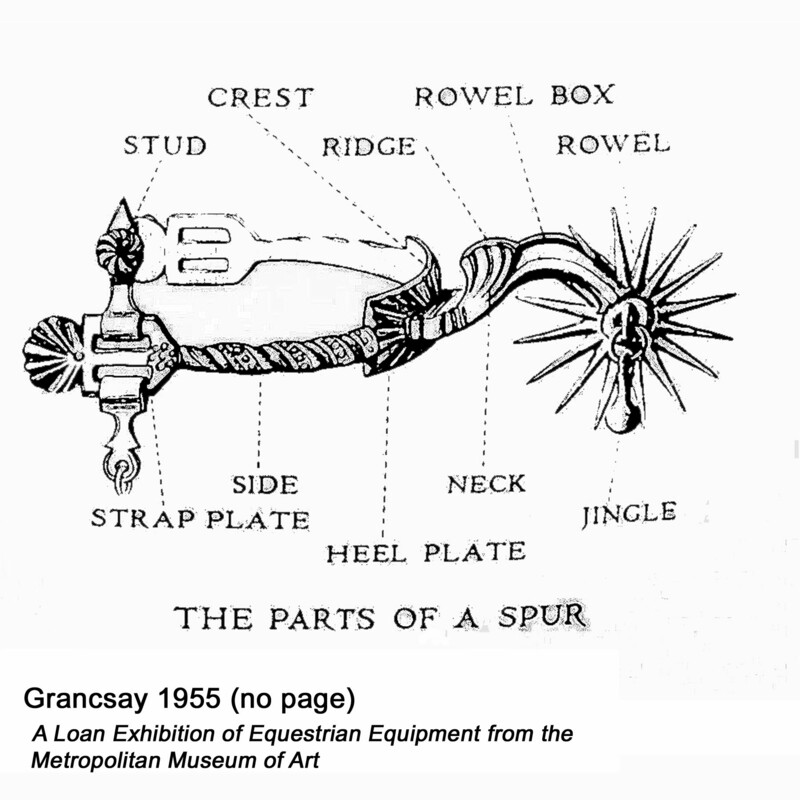 The illustration below is adapted from Stephen Grancsay (1955) Equestrian Equipment, a catalog for a loan exhibition held at the J. B. Speed Art Museum, Louisville, Kentucky, from May 4 to July 3, 1955. Today’s animation is an iron alloy arrow point recovered archaeologically by Jamestown Rediscovery. It was scanned on November 14, 2014, in the Rediscovery Jamestown archaeological laboratory and printed versions will be incorporated into public education and outreach programs to contrast with American Indian-made chipped stone arrow heads, such as this one. Today’s animation is a brick with a paw print recovered archaeologically by Jamestown Rediscovery. It was scanned on November 14, 2014. Today’s animation is from a recreation of Bartholomew Gosnold, who was instrumental in founding Jamestown. 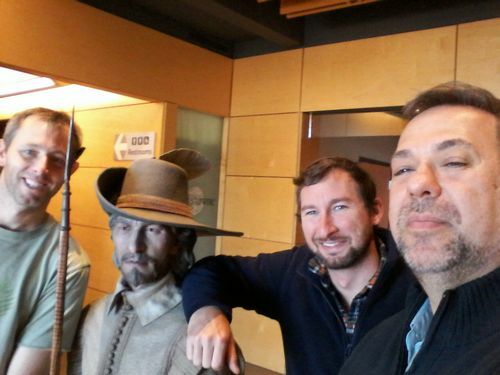 It was scanned using a Sense 3D scanner with the assistance of Jamestown Rediscovery‘s Jeff Aronowitz and Danny Schmidt.